Hard to believe my oldest is 5. I feel like he is getting so big and really starting to use his head. Now ask me next week after they get back from my parents and I reserve the right to change my mind. 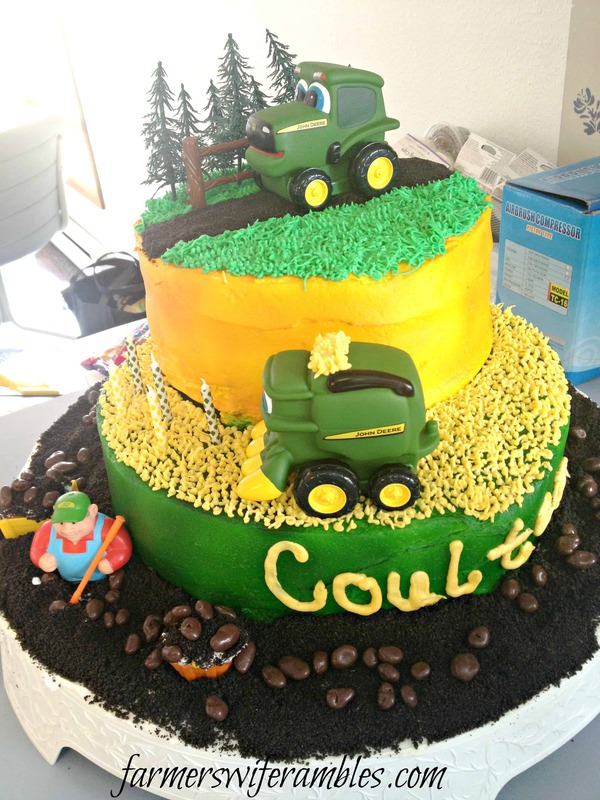 We had a blast for Coulter’s birthday this year and of course he requested a John Deere birthday cake. Big surprise there, right? Umm no. 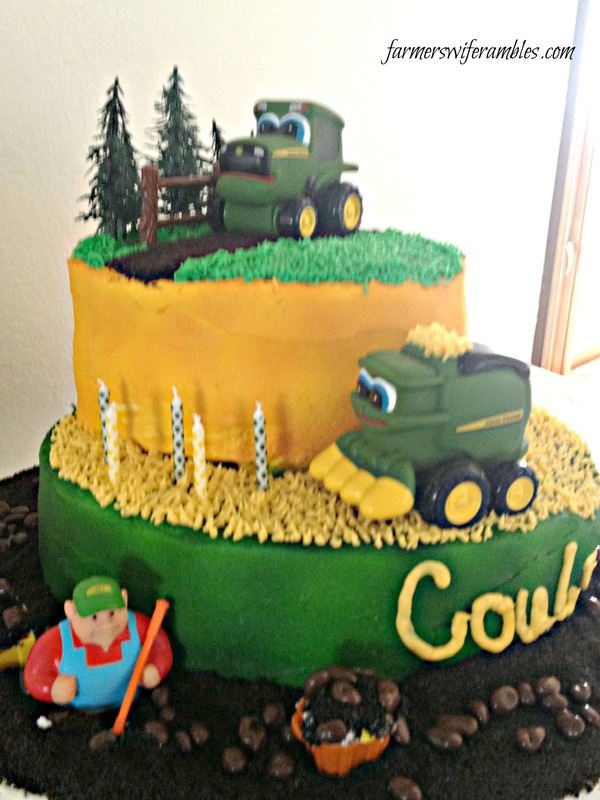 I had a blast making this cake and had one happy 5 year old in the end! What a great cake – so clever! Thank you Cecile. 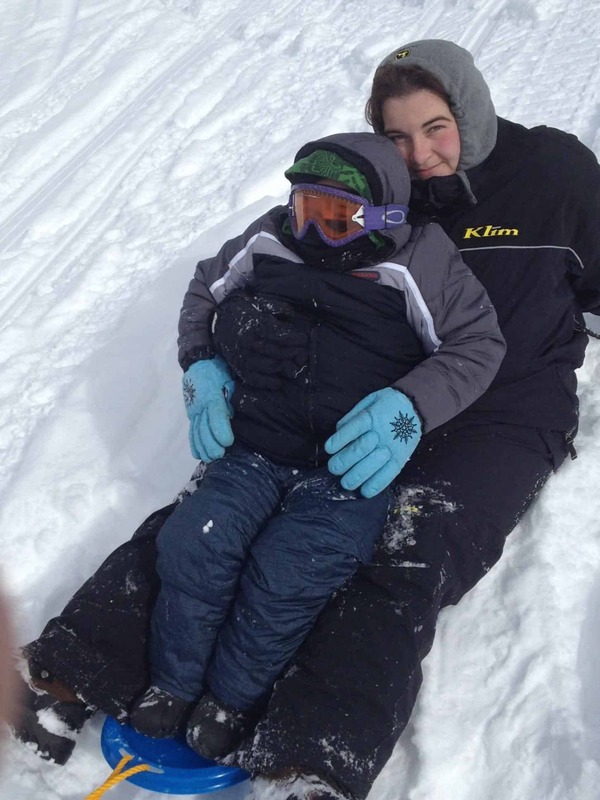 My son loved it! This is an awesome cake! I know a few men who would love this too!